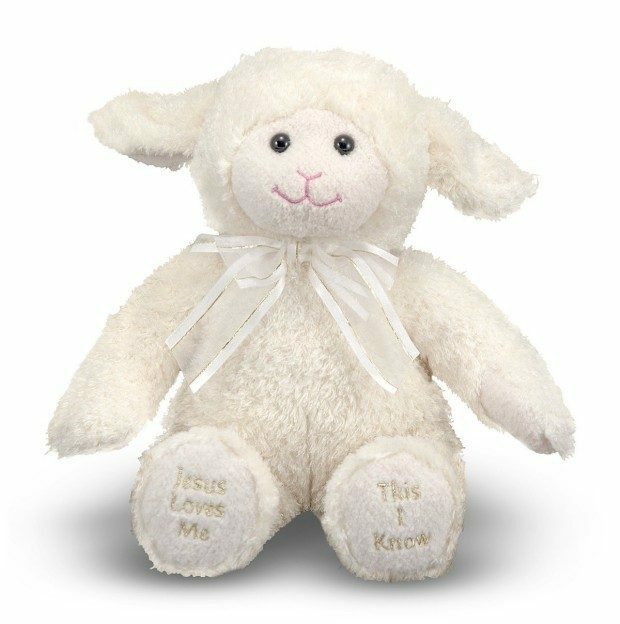 Melissa & Doug Jesus Loves Me Lamb Now Only $14.99! You are here: Home / Great Deals / Amazon Deals / Melissa & Doug Jesus Loves Me Lamb Now Only $14.99! Perfect for an Easter basket. Head over to Amazon to order the Melissa & Doug Jesus Loves Me Lamb Now Only $14.99! Recording plays when the hands are pressed together, and stops when they’re released. Also works when the lamb’s hands are held with the child’s in a prayer circle.